Accommodations: lodges, hotel, motels, chalets, cabin rental, B&B. Restaurant, pub, general store, post office, & museum. Gas station (open 9am-5pm daily in summer) and tire repair. Nearest towing service in Lillooet. Horseback, mountain biking, hiking, fishing, wildlife viewing, quad and snowmobile tours. Backcountry hut rental. 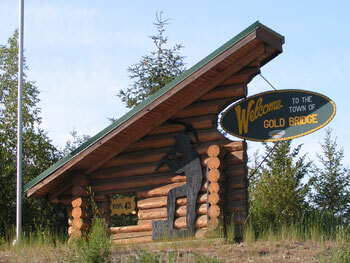 For more information on Gold Bridge amenities, stop by the Bridge River Valley Economic Development Society (similar to a chamber of commerce or visitors center) at 104 Haylmore Rd in Gold Bridge. Open daily in summer, 10am – 4pm. Ph. 250-238-2534. Check out their website at www.bridgerivervalley.ca.